The past many years I have been spending most of my time in the online space and since 1996 I have had extensive hands-on experience creating, running and selling a company in the online advertising and media industry. evershift serves as a vehicle to make direct investments into disruptive ideas, music, content creation and existing revenue generating businesses across industries but ideally companies with a strong online component where I can potentially add some value over and above investing. I was born, raised and educated in Denmark. 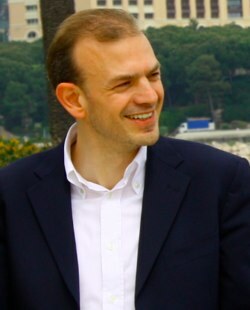 In 1992 I decided to become an expat and moved to Abu Dhabi in the United Arab Emirates. 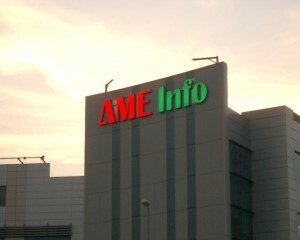 After having experimented with everything from foodstuff and laboratory equipment to chemicals and designer retail stores in Abu Dhabi and Dubai, I initiated AME Info in 1996 together with Saif Al-Suwaidi and Lars B. Nielsen with a view to enhance communication for businesses in the Middle East. The first version of AME Info was a CD-ROM contact database of 125,000 companies from the Middle East which was developed and compiled late 1996 and the plan was to sell approximately 10,000 copies – it proved difficult. 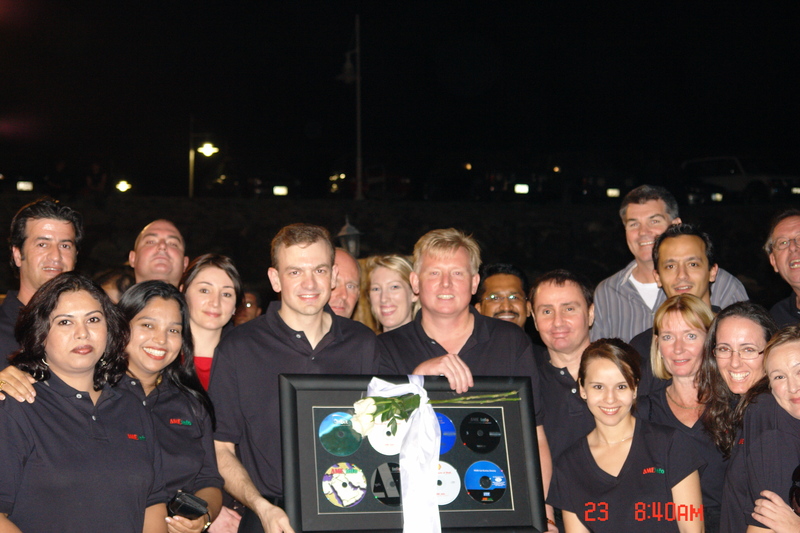 In 1997, major sponsors including Royal Dutch Shell Middle East and UPS allowed the concept to expand, and the 1998 edition of the AME Info CD-ROM reached a free circulation of more than 180,000 copies (20,000 were distributed in a branded version through Shell in the Middle East magazine). Following the 1998 edition, more branded versions were produced for Royal Dutch Shell Middle East, Batelco, Orbit Television and Radio Network and Intel. The circulation in 1999 topped out at some 250,000 free copies distributed through direct mail and magazines including Shell in the Middle East, Gulf Marketing review, The Middle East and Windows User Magazine. Bahrain, Egypt, Iran, Iraq, Jordan, Kuwait, Lebanon, Oman, Palestine, Qatar, Syria, Saudi Arabia, United Arab Emirates and Yemen. 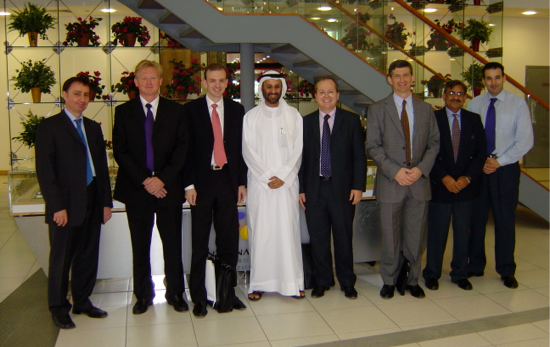 In November 2000 AME Info was awarded “Best Commercial Services Site” by Visa International and Arabian Business. In May 2001 the company was re-structured and AME Info FZ LLC was established in Dubai Media City as a limited liability company. We expanded the content production further to include a mobile version of the service (WAP), video and audio features as well as streaming internet radio. AME Info Radio, which was headed up by Phil Blizzard, offered podcast versions with interviews of local, regional and even international business celebrates like Sir Richard Branson in the “Executive Views”. The agreement was extended to include all of 2003, 2004, 2005 and 2006 ensuring daily exposure for AME Info on global CNN International and constant presence for CNN on AME Info. Early 2003 AME Info entered into producing broadband content headed by Lisa Creffield and the site featured a large selection of unique video productions covering various events and interviews with business executives across the region. AME Info was the first online media in the region to be audited by the Audit Bureau of Circulations (ABC) in 2005 which was also the year where AME Info was awarded Superbrand status. 3M, Acer Computers, Air France, American Express, AMD, Aramex, Audi, Bank of Ireland, Barclays International, BBC, Blue Coat Systems, BMC Software, BMW, British Airways, Canon, Chevron, Cisco Systems, Citibank, CNN International, Cognos, Computer Associates, Credit Suisse, DaimlerChrysler, Davidoff, DHL, Diners Club, DIFC, Emirates Airline, EPSON, Etisalat, EuroFinance, Ford, Fujitsu-Siemens Computers, FXCM, General Motors, Global Investment House, Gulf Air, Hewlett-Packard, Hilton, HSBC, IBM, ICICI, IIR, Intel Corporation, Intercontinental Hotels Group, Jaguar, JW Marriott, KLM, Land Rover, Lexus, LG Electronics, Lufthansa, MEED, Microsoft, Motorola, Nokia, Oracle, Philips, Qatar Airways, Radisson SAS, Saudi Arabian Airlines, Saudi Telecom, Samsung, SAP Arabia, SAXO Bank, Shell, Siemens, Sixt, Sony, SonyEricsson, Standard Chartered Bank, Sun Microsystems, Symantec, SWISS, Tejari, Toshiba, VERITAS, Visa International, Volvo and WWF. In March 2005, HSBC Private Equity Middle East Ltd. acquired a significant equity stake in AME Info FZ LLC and on the 4th of July 2006, London-based Emap plc (EMA.L) announced that Emap Communications, its business-to-business (B2B) division, acquired AME Info and since 2008 I am no longer involved with the company. I still have great passion for the internet, disruptive business ideas like Tradeshift, digital content development, music royalties, mobility, cryptocurrencies, coding, gadgets and geeky stuff. 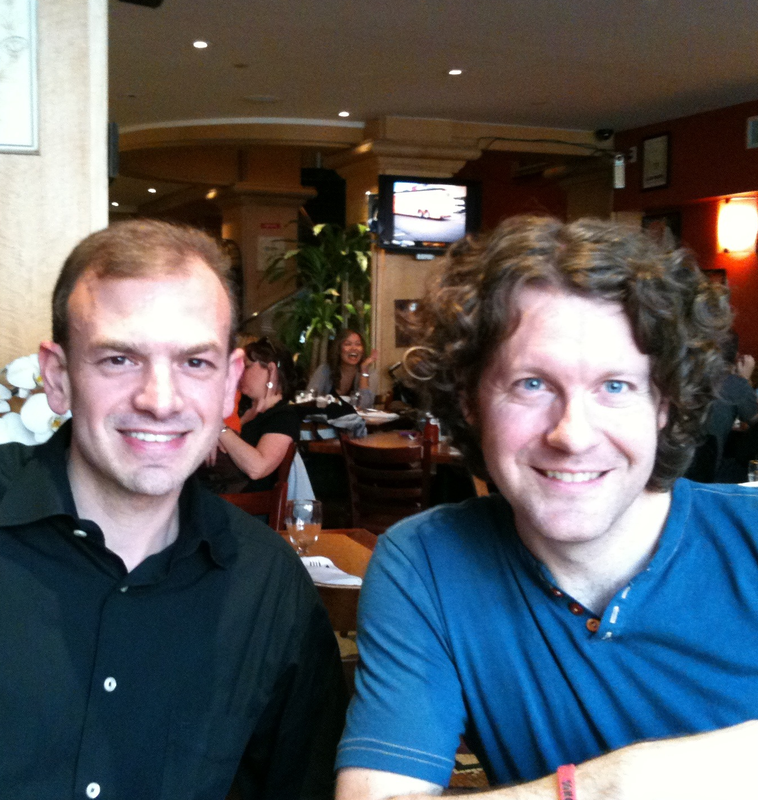 In 2008 I launched RingtoneFeeder together with the talented Geoff Smith to experiment with producing and selling digital content, a project which has evolved a lot since we started but it continues to be a lot of fun. RingtoneFeeder has frequently been among the most popular podcast on iTunes globally and has exceeded 1 million ringtone music-video downloads per month for several consecutive years. RingtoneFeeder has been featured by several reputed sources including MacBreak Weekly, CNN, Cali Lewis, iJustine and many more. In 2015 RingtoneFeeder was commissioned to produce multiple tones including boot, alert and ringtones for hardware manufacturer Qiku based in China. In June 2015 we launched GivingTales producing classic fairy stories for children and adults alike together with Sir Roger Moore. Hans Christian Andersen’s stories are among the most-read in the world, proving the value children and adults get from these classic tales. Children can read along to learn the core values these incredible tales teach. Many of the themes in Hans Christian Andersen’s stories have relevance for children today, such as bravery, selflessness, and compassion. Some of the best voices of our time read the stories, including Sir Roger Moore, Stephen Fry, Ewan McGregor, Dame Joan Collins, Joanna Lumley, Sir Michael Caine, David Walliams, Charlotte Rampling and Paul McKenna. GivingTales is also available in Danish read by Cecilie Stenspil, Alexandre Willaume, Bubber, Kurt Ravn, Jens Jørn Spottag, Lars Mikkelsen, Sofie Gråbøl, Anne Marie, Nikolaj Coster-Waldau and Birgitte Hjort Sørensen. Behind the scenes featuring Sir Roger Moore, Stephen Fry, Ewan McGregor and Dame Joan Collins from the launch of GivingTales in June 2015. As part of the corporate social responsibility policy of GivingTales we donate 30% of our revenue to Unicef to help children in need around the world. We are keen to reach as many children as possible so if you have consumer reach or distribution ideas, please drop us a line. The GivingTales app is available for iOS, Android, Windows Phone and Amazon as well as in video and audiobook formats. I am also directly or through evershift involved with or invested into the following privately held companies in alphabetical order, however, this may not be an exhaustive list. This is by no means a recommendation or even an encouragement to buy into any of these companies, rather is it intended for the reader to understand why I might be talking about some of these businesses from time to time in very favorable terms, as I obviously do believe in them. I believe in enabling others instead of “just” giving and among other initiatives I am an active supporter of Kiva, a non-profit platform that allows you to lend as little as $25 to a specific low-income entrepreneur across the globe. I encourage you to join us and if you can recommend similar initiatives, please do drop me a line. Finally, if you want to stay up to date with what I am doing and what I find of interest, you are welcome to follow me on Twitter, Facebook, Google Plus, YouTube and LinkedIn or ask me a question on Quora.